I knew exactly what I wanted to buy with my Christmas money! I have been eyeing up the En Taupe collection from Zoeva, especially the En Taupe eyeshadow palette, but having made a sneaky purchase from Freedom Makeup (before my spending ban, don’t you worry!) which included an eyeshadow palette and I saw this eye brush set and it was love at first sight. I just had to add it to my collection before my spending ban began and I was just so excited to share it with you. This is a limited edition range and I’m not sure when the collection stops so I wanted to let you know all about them and why you need these in your life. These were about £36 form Beauty Bay for 6 brushes (which is amazing value compared to MAC and are extremely dupable to their brushes plus I think these look as nice if not better) available here. Firstly the two brushes are the angled brushes which are perfect for precise application. First up is the 317 Wing Liner Brush which works amazingly with gel eyeliner. This is made of Nylon bristles and is still enough yet flex enough to extend your liner for the perfect cat eye look. Next up is the 322 Brow Line Brush which is a short angled brush that is short and dense amazing for brow products. This is made of Taklon bristles and the shape is perfect for creating the arched brow we all lust over. So excited to try these out with my Anastasia Beverly Hills Dipbrow Pomade. Now the starts of the show are the different buffing-like brushes for eyeshadow application. There are four white bristled brushes and they complete my makeup brush collection. First up is the 227 Luxe Soft Definer Brush which is a super soft shadow brush to smooth and define eye shadow colours. This is perfect brush for blending your transition colours together as well as working intensely in the crease. This is made of goat hair and is comparable to Mac’s 217, in fact I’d say it’s a total dupe! Next up is the 228 Luxe Crease Brush which is a more oval shaped version of a blending brush. I can imagine this not only being amazing at blending but also working well with concealer and nose contouring. It fits perfectly in the crease of the eye as well as the outskirts of the nose for precision. Again this is made of goat hair it is a real multi-tasker and one you’ll need in your collection. 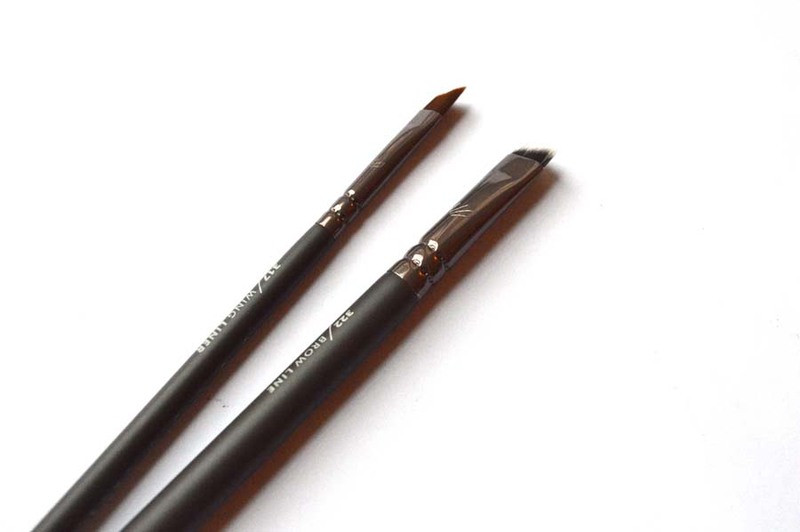 The 230 Luxe Pencil Brush is one of the reasons I wanted to grab this brush set – this is a fantastic brush to add colour into the crease to make it darker and more defined. It looks perfect to practice cut creases with and I can’t wait to get experimenting. 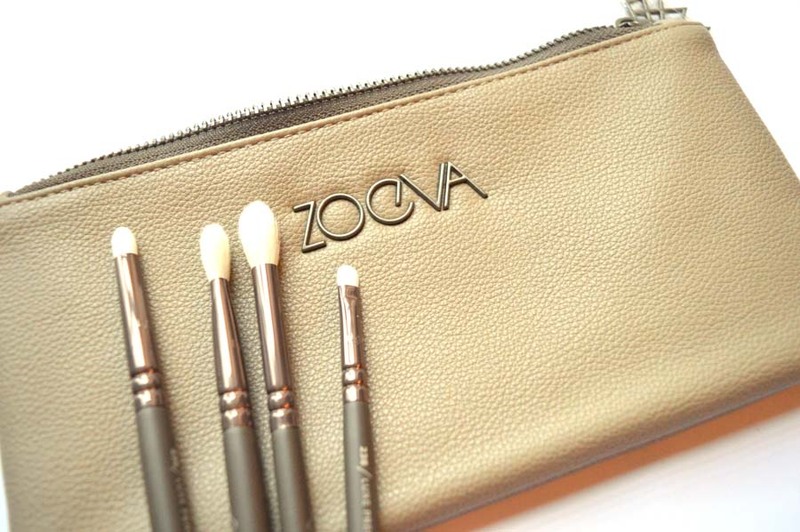 This little one is made of Pony Hair bristles which absorbs excess colour and applies evenly. Lastly is the 238 Luxe Precise Shader Brush and looks perfect to apply colour to underneath the waterline to later blend out. This will also be amazing to apply light and glittery shadow on the final steps of an eye look. This is created with a mix of natural and synthetic bristles and will make precision so easy! Compared to Mac’s 217 which is £20, you get an entire set ready for any eye look for £37. They are amazing value and they are incredible dupes to Mac brushes delivering on quality and performance (I say this as I own two Mac 217’s and wish I had discovered these beforehand). They look beautiful and I’m in love. 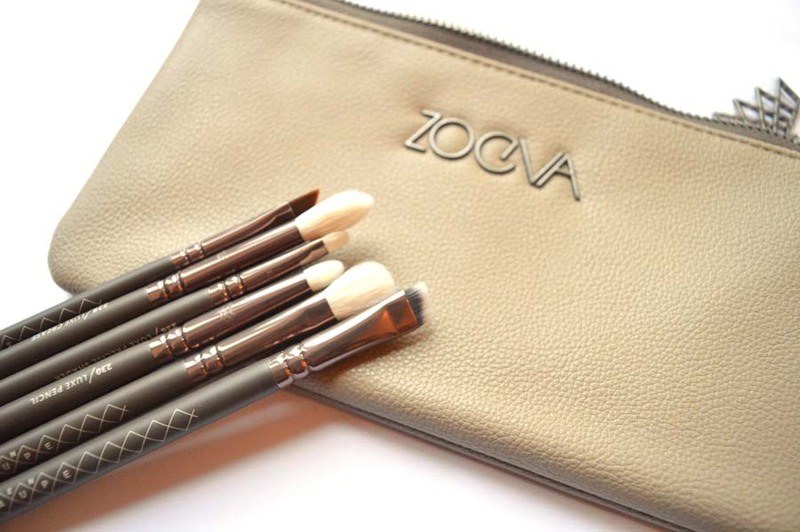 Do you have any Zoeva brushes or looking to grab hold of some? Previous Post EMPTIES #6 | December ’15 – January ’16.